Today we had a case come in. It is an unusual case, not the first time – but it is a case where somebody has been declared bankrupt and they have been given a figure which will allow them to annul the bankruptcy. They approach us in order to get a loan against some of the equity in their property. In order to progress these matters we have to do all the due diligence, and valuation in the normal way and also examine the detail that led to the bankruptcy in the first place. Then, if we find that all this is in order, we can progress to the next stage; working with the lawyers and the relevant trustee in bankruptcy. This is the crucial element as only by working together as a team, is the client able to keep their home as we have to make sure that when we lend the money all sides agree on the annulment. The solicitors would also place a charge on the relevant property at Land Registry to give us adequate security. We then put together a full and workable exit strategy which is usually a remortgage, and work through this carefully with the client and their broker, to make sure that this happens. This is a situation that most lenders would not even think about getting involved in. Here at Henley Finance we have an experienced team that understands this process so therefore if everything makes sense then we are willing to get involved and help. We understand that sometimes people make mistakes or find themselves in difficult situations. We don’t actively seek this type of business but we do look at every application on its own merit and if we can help provide a solution to someone’s problem then we are prepared to take it further. Henley Finance Ltd is a specialist lender providing bespoke short and medium-term funding solutions to the residential and commercial property markets. Offering mezzanine finance, loans for auction purchases, working capital for developments and, if approved, providing fast completion on property purchases with funds available to client in five to seven working days. Bridging loans can be arranged for sole traders, limited companies, partnerships and private individuals. If you are interested in these services or wish to set up a meeting contact myself, Richard Butler Creagh, through the Henley Finance website. If you are a business in need of finance, then you can consult Richard Butler Creagh at Henley Finance. Henley Finance are one of the leading bridging finance companies in the UK, and help businesses of all sizes achieve their goals through getting the right funding. 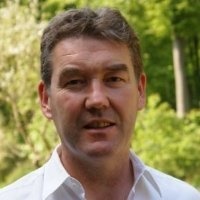 For more information on getting financial support for your business, connect with Richard Butler Creagh on his Linkedin page here and join his professional network.